As promised guys I am back with a little more on building, and living on a capsule wardrobe. In this short series, I am simply giving pointers on how to work with the little that you might have and build upon it. If you look closely at this outfit, you will see that I am wearing the exact pieces from my last post (here) on building a capsule wardrobe. The classic white button down blouse and my black skinny jeans are the foundation of this look. However, things here are a bit elevated. The look is much stronger, and my sense of personal style is shining through. So yes guys, even with a limited wardrobe it is possible to look great and be stylish. 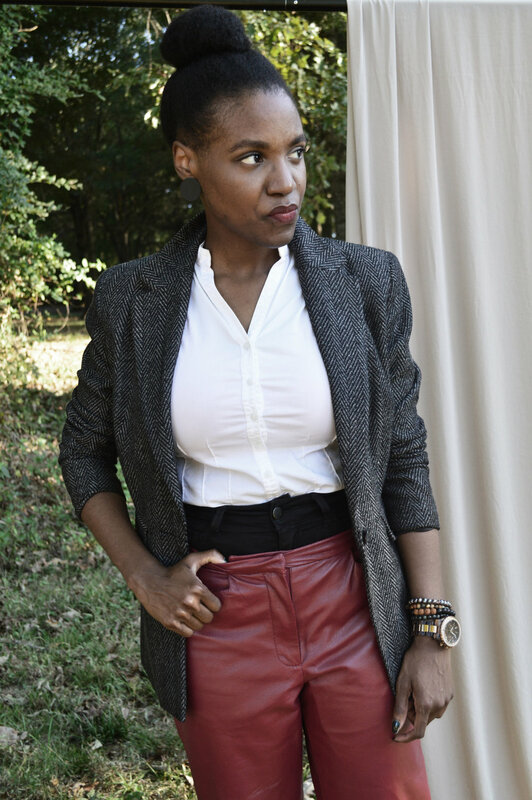 Both the blazer and leather trousers are vintage items that I have either thrifted, or were given to me. 3. Wildcard. Statement pieces and staples that will allow you to standout in a crowd. I think it’s most important to have these unique wildcard items in your capsule wardrobe because they allow you to really display your personal style. Also, I want to reiterate that because it’s merely an abbreviate wardrobe that you shouldn't have a lot of those items - may not be space, and who wants to lug around all of that stuff. 4. Splurge. With such a basic, and neutral based wardrobe I think it’s necessary to splurge on a specific accessory. The entire time that I lived abroad I don't think I purchased a single piece of clothing. However I did buy shoes. The item which I splurge on is shoes. I love shoes. Shoes are life, and with a limited wardrobe I depend on my cute shoes sometimes to make my plain outfits pop. Some women love handbags or jewelry, and should use these items. I would say, pick your poison ladies. 5. Borrow. Tap into your resources. 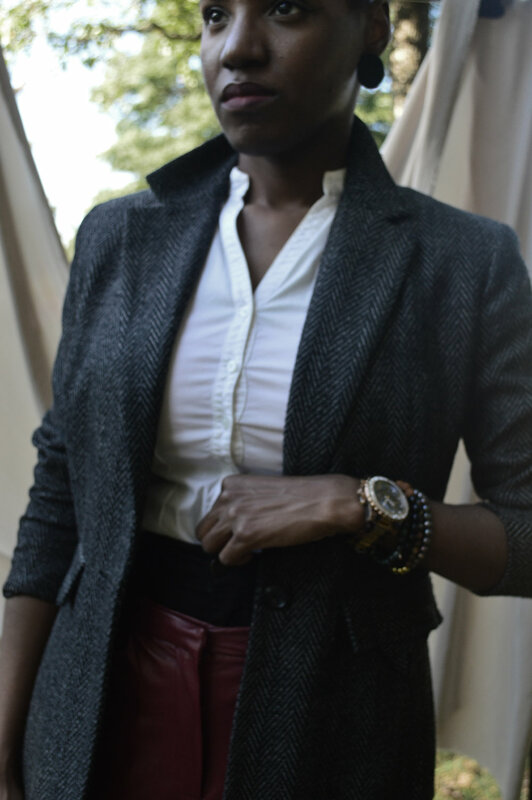 As a stylist, I have have fashion connections and friends at my finger tips, and at times I have to call them up to borrow items for events or special occasions. For those of you that may not have that access, you can simply ask your boyfriend if you could borrow his blazer, oversized jumper or trousers even. Ask a neighbor for a handbag/clutch for the evening. Or a good, close friend if you could borrow her cute party dress for an event.